Dave went to work on the race car, staying over lunch time. I had been at gym and bought venison from the butcher after I had trained. 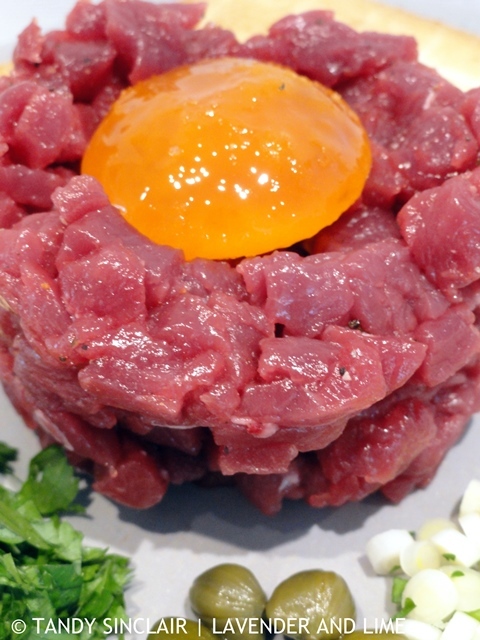 I cut some off to make venison tartare for myself for lunch. This is not Dave’s favourite meal so I turned being alone into a win-win situation. I still needed a bluetooth headset after taking the one back to the iStore. Clicks at the Mall has a young gentleman in the electronics department who is very helpful. I told him what my needs were and he recommended one of two headsets. He explained the pros and cons of both with regards to training. And he let me know which one he uses. The one headset went over the ears and as I wear glasses this is not very comfortable. I much preferred the device that was similar to the standard headset that comes with the phone. Robin let me know that this one was not good for active training sessions. But that was not a concern for me as I don’t do anything in the way of serious cardio training. The downside to this set is that it has a cord between the control device. But, the device clips on to my clothing and has a little magnet to ensure it stays in place. The upside is that the earpieces have slip on covers in different sizes. I never knew that this was available and it makes such a difference. Basically, you can fit the earpiece into your ear more comfortably. And this improves the hearing quality. This, and the fact that they are white and rose gold to match my phone had me sold. I am going to take them with me when we travel and see how they work as earplugs for when I sleep. I never find ones small enough for my ear canal, and I keep losing mine on flights as I take them out in my sleep. This is because they are not comfortable. If these work then it is a win-win situation for me. Dave and I are away for motor racing. I will be back at work on the 11th of June and will start replying to comments then. I found this recipe interesting, Tandy. It is not something I would ever eat though. It is not something Dave would choose either! Yum! The egg yolk looks cured, is it? It is. But that one was a failure. Wow. I’ve never tried anything like this. Really nice Tandy! And where I live I should be able to get venison. 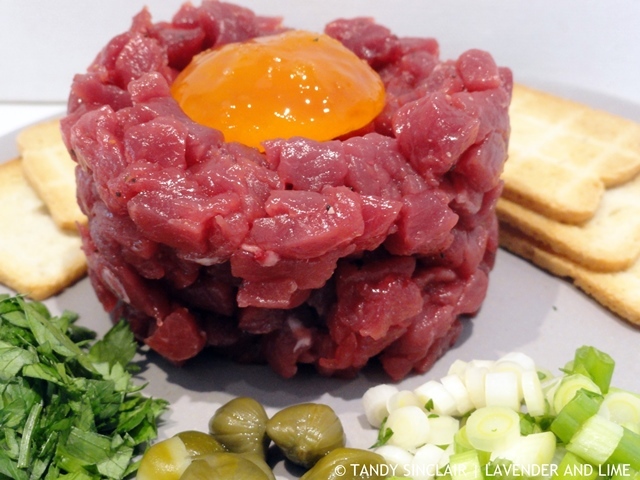 I’ve only made tartare with beef I’ve special ordered. I much preferred this to beef. Oh wow! You eat the venison raw! I feel venison is too gamey for me cooked, is there a difference raw? Glad you found some new earbuds!